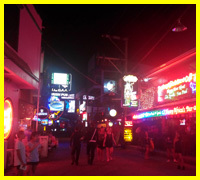 Welcome to the home of Koh Samui nightlife! 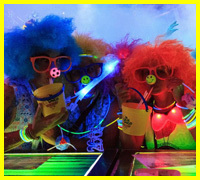 Here you’ll find all the latest news on what’s hot and happening after dark on Koh Samui, Thailand. Green Mango is the heart and soul of Koh Samui nightlife. 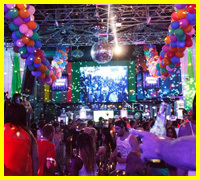 The central super-club is on Soi Green Mango, off the centre of Chaweng Beach Road, and is joined by mega clubs – Sweet Soul, Mambo, and a host of bars and nightspots. The monthly Full Moon Party is held on neighbouring island, Koh Phangnan. 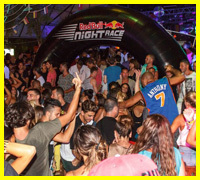 It’s the world’s biggest beach party, and is easily reached via Koh Samui. Chaweng Lake is home to the monthly Black Moon Party, Reggae Pub and Q Bar. You can stay in the heart of the action with low cost serviced apartments and rooms from www.sasitara.com. Green Mango is within walking distance. 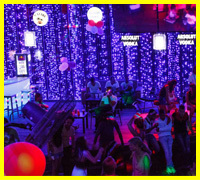 Lamai and Bophut each have alternative nightlife options, including restaurants, live music bars and dance clubs. Go-go bars, beer bars, beautiful girls and heavy alcohol is just one side of Samui nightlife that makes Thailand famous. Soi Green Mango is more couples orientated than most night-spots in Thailand, appealing to party goers who like great music, a fun atmosphere, and a vibrant social setting.